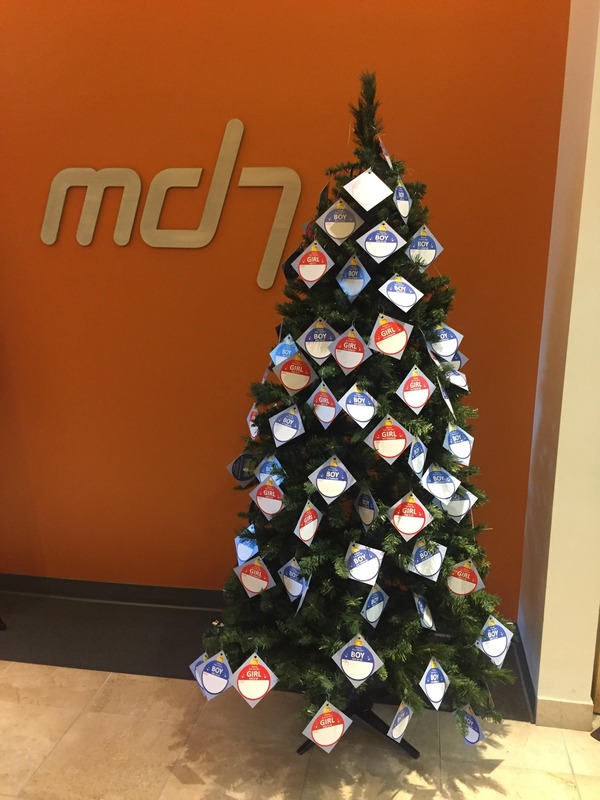 Md7 works on organizing projects year round that exemplify our core value of Giving Back. 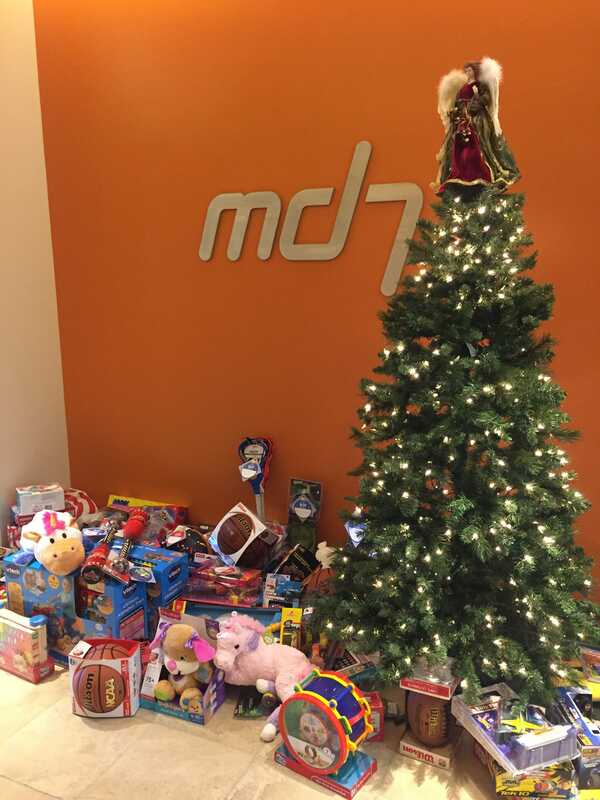 This holiday season, the Giving Back Committee at Md7 partnered with the Hope Leadership Foundation in their Toys for Hope Toy Drive to collect toys for less-fortunate children in San Diego, California. The Hope Leadership Foundation provided us with paper “ornaments” listing the age and gender of a child which we used to decorate the holiday tree in our foyer. Employees selected an ornament or ornaments of their choice and returned with unwrapped toys to place under the tree. I personally found it immensely rewarding to watch, day by day, as more and more “ornaments” disappeared off the tree to be magically replaced by a wonderful variety of toys. We initially set and successfully achieved our goal of collecting a total of 100 toys. Some toy highlights include some adorable stuffed animals, dolls, razor scooters, a variety of sports equipment, skateboards, RC cars and board games. These toys will be distributed locally at the King Chavez Academy of Excellence on December 17, 2016. While it is easy to forget how fortunate we are, events like this Toy Drive help remind us how many children in our local community, due to circumstances completely out of their control, may be without a present this holiday season. It is truly wonderful to see the Md7 community come together and collectively help make sure 100 deserving children will get a new toy.